A couple from Greater Manchester have been robbed by pirates off the coast of Venezuela. 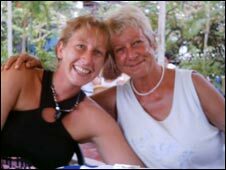 Peter and Betty Lee, from Stockport, were on a round-the-world voyage and were sailing towards the Caribbean when they were attacked. The pirates fired shots at the couple before scrambling on board, tying them up and shooting their pet dog. Describing the ordeal, which happened a week ago, Mr Lee, 61, said: "It was unbelievable." He said: "Before we knew it we had this pirate boat on top of us. "One of the men stood up, held his pistol in both hands and shot at me. "It was then that I realised I had to surrender." Five pirates boarded the 41ft (12.5m) boat and tied Mr Lee up. He said: "I was bound hand and feet, face down, with a hand on my shoulder and a 9mm pistol in the back of my neck. "My wife was down below with three of them - two of them who had pistols, and one who was very aggressive towards her, holding the pistol no more than 18in (45cm) from her face, and demanding money." 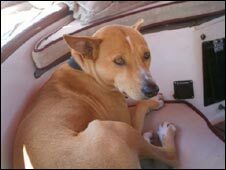 The couple's dog Kankuntu attacked the men as he tried to protect his owners, until one of them shot and stabbed him between the shoulder blades, leaving him for dead. When the pirates realised the pair only had a couple of hundred dollars, they tried to rip Mrs Lee's wedding ring from her finger, leaving her with cuts and bruises, before fleeing the £65,000 yacht. When the Lees arrived in Trinidad they spoke to another British couple who were also robbed while sailing in the area, which is notorious for pirates. 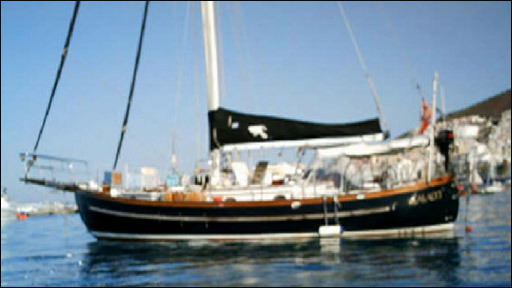 The couple are two years into their adventure aboard their yacht, Raven Eye, and intend to carry on with their circumnavigation. Mr Lee said: "We're British - we're not going to let these people put us down. We've already been round the world once and this time next year we'll be in the Panama canal." The couple's daughter Katie, who is sailing in Martinique, said her parents were now in Trinidad talking to officials at the High Commission, who were speaking to police in Venezuela. She said: "They are both very shaken up and mum keeps on having panic attacks. They just want to help catch these pirates so they don't do it again."